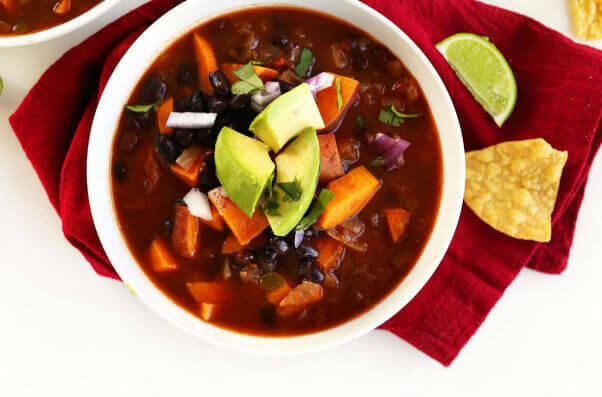 It’s literally five ingredients, and you might have most of them in your cupboard right now: onions, black beans, sweet potatoes, veggie stock, and salsa. It is billed as a 10-minute meal, and when you taste the butternut squash broth, you’ll be convinced it was 10 minutes wisely spent. 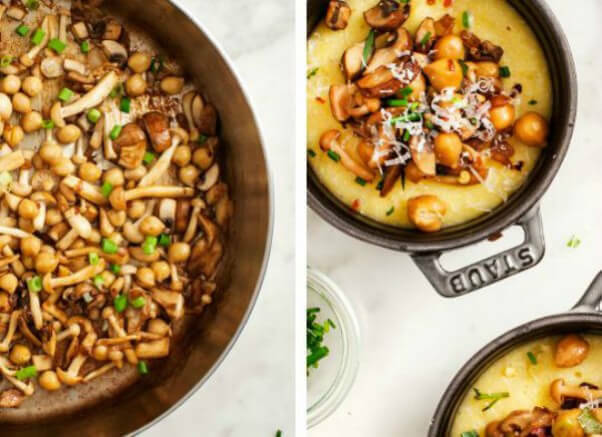 Creamy polenta without the dairy? Yes, please. 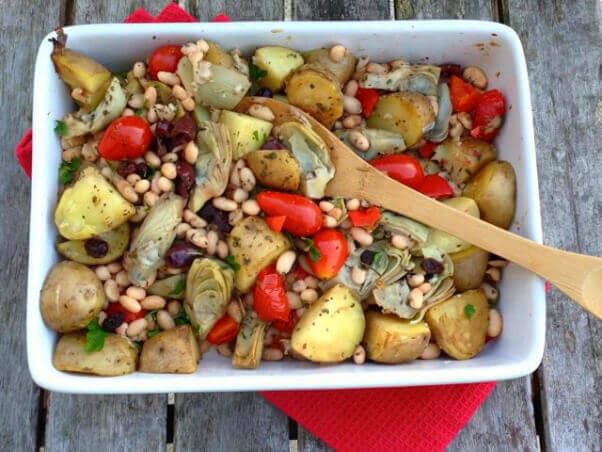 This fresh dish has just about everything you need: vegetables, protein, and carbohydrates. Plus, you could use more artichokes in your life, right? Anytime there’s peanut butter in a recipe, you can count us in. 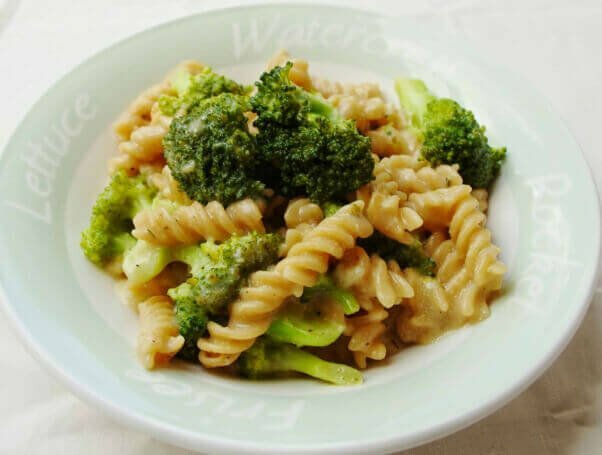 Yup, It’s Vegan recommends that you cook the pasta al dente so that leftovers are a normal pasta texture and not too soft. 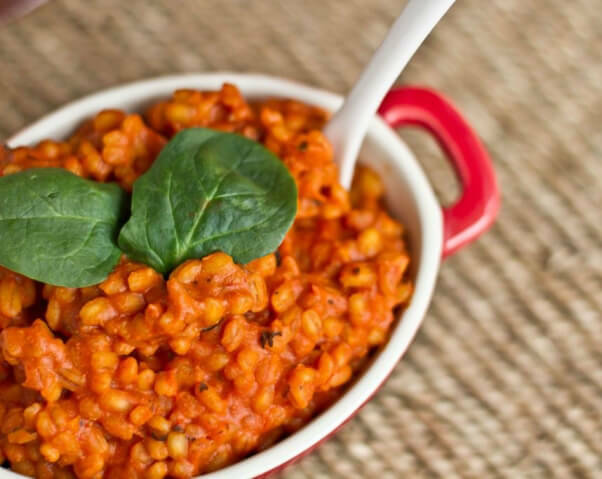 Nutritional yeast gives this risotto its creamy quality. Add some tomatoes and basil, and you’re in for a real Italian treat. 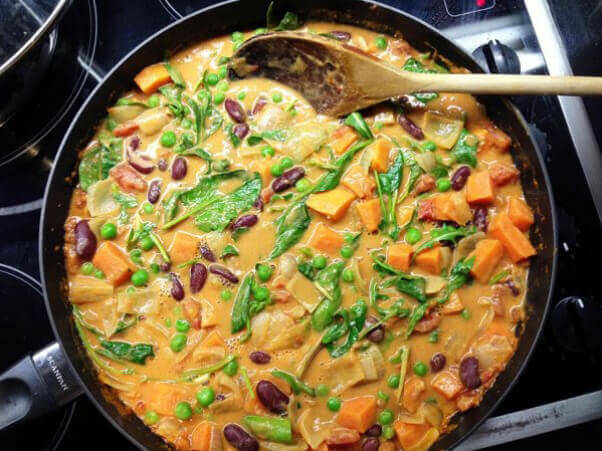 Curry is the best because you can eat it with any base, including quinoa, rice, barley, and any other whole grain. Take a tip from Mediterranean and Italian cuisine: Eggplant is an everyday vegetable in those cultures, and it’s nutritious and versatile. © May I Have That Recipe? 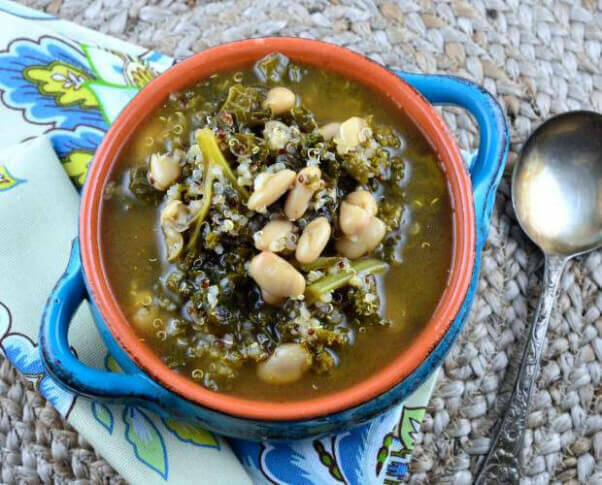 It doesn’t get any healthier than kale, beans, olive oil, quinoa, vegetable broths, and seasonings! 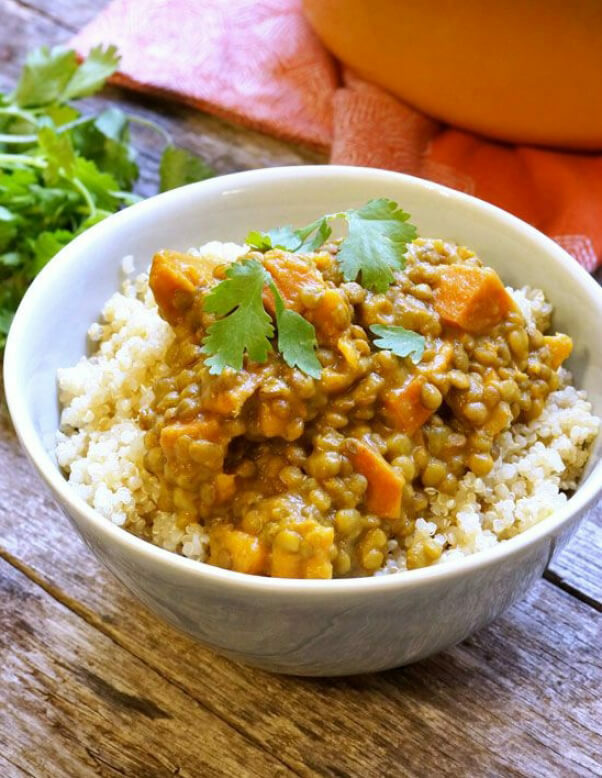 This classic Indian recipe is vegan and gluten-free. The ingredients in this epic dish include fresh ginger, jalapeño peppers, potatoes, cauliflower, and fire-roasted crushed tomatoes. Bok choy is a cruciferous veggie rich in antioxidants and vitamin A. 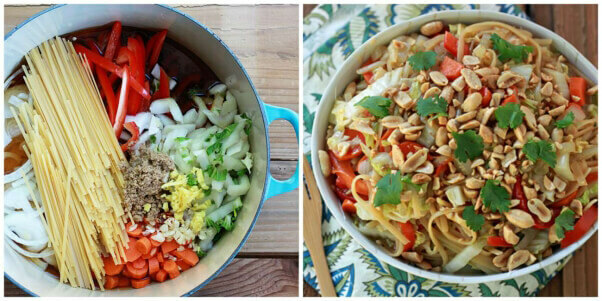 Combine it with red cabbage and broccoli, and you’re in for a healthy pick-me-up. This looks so good, we can’t stand it. 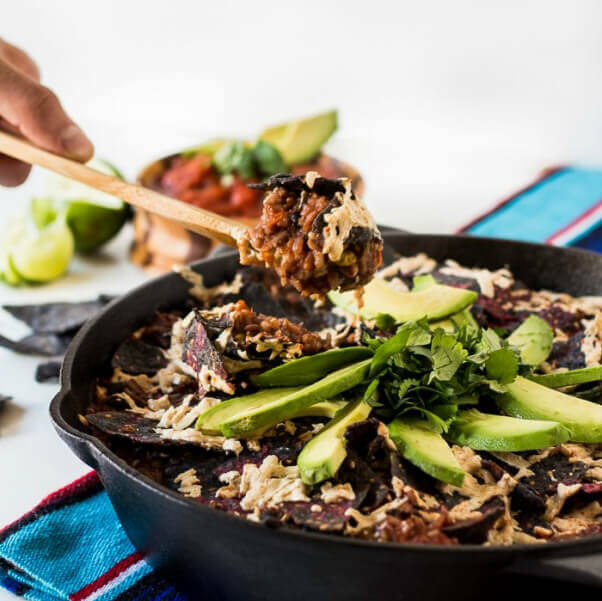 Prep time is only 10 minutes, and it’s cooked entirely in a skillet using ingredients that you likely already have in your kitchen. 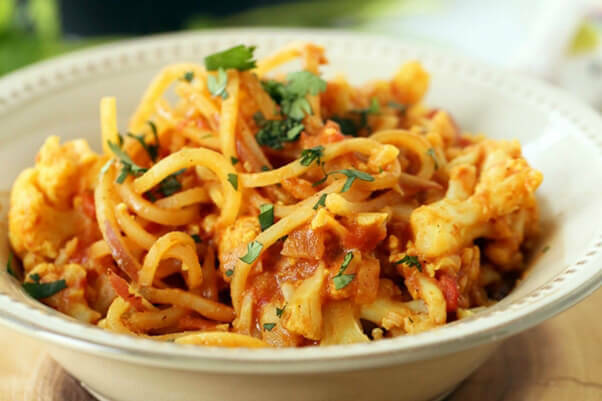 This dish is pure comfort food that your whole family will enjoy. This meal is easy to prepare and cooks in just 10 minutes. Add extra red pepper flakes for a spicy kick. 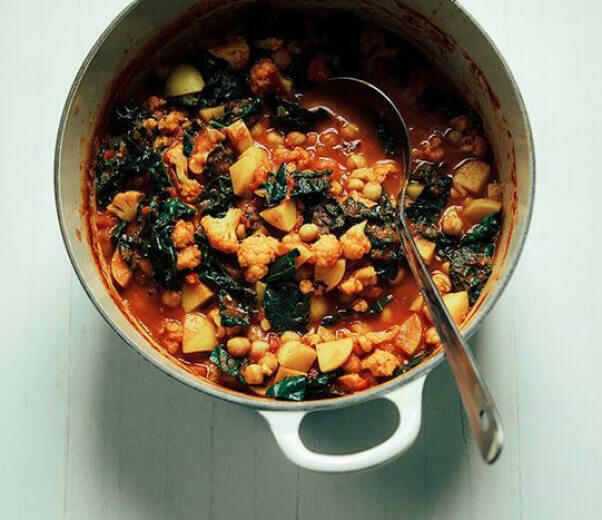 Check out this video to see the one-pot magic for yourself!